Disclaimer: The conclusion given at the end has been given in a completely non-professional capacity. Though the Investment Advice has been given to the best of my abilities we cannot be held liable in any way whatsoever. Advanced Micro Devices’ (NYSE: AMD) Shares climbed steadily after the big plummet around 24 January (about 12%). They have climbed about 3% to $3.47 as of 7th February. The company also said that it was recognized for about 24 top PRs, Marketing and Social media Awards in 2013 making it the best year for AMD (NYSE: AMD) where communications are concerned. Advanced Micro Devices, Inc (AMD) Trend Recovering – Global Trend is Positive and Outlook is Generally Positive. You might remember that I advised against investing Advanced Micro Devices (NYSE: AMD) at that point in time and predicted a revenue loss this quarter. AMD has since declared a predicted loss of 16% in Revenue this Quarter though as far as I can see the numbers are holdings steady at 11%. However there is good news for people with Long position in the company. 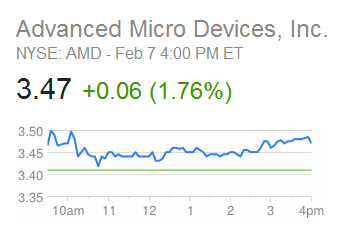 The global trend of Advanced Micro Devices (NYSE: AMD) is generally positive which is very very good. To quantitatively state it, the Global Trend has been upward since Jan 7 while there was a big plummet around 24 Jan, however the short term trend has gone back to positive as of 7th Feb. The major deadweights on Red’s portfolio is the 2 Billion long term debt though that deters short term investors from making massive money but doesn’t affect Long. Also consider the fact that Advanced Micro Devices (NYSE: AMD) faced a loss of $102 Million in Q4 2012 and consider where it stands now after 12 months. The only part of the equation that remains ambiguous is console sales, though usually the trend is downward sloping in nature. Though with some of the hype still alive, some new short position investors might buy stock. AMD GPUs are going strong, sold out and facing shortage in many cases, which from a business point of view, is brilliant. Verdict: The initial sell out after the Q4 result is over, so if you are still here, good news. AMD status is at “Hold Stock” with a tilt to “Buy”. The reason? Simple, the short position holders have sold stock, so you have to be a long position holder to benefit now. 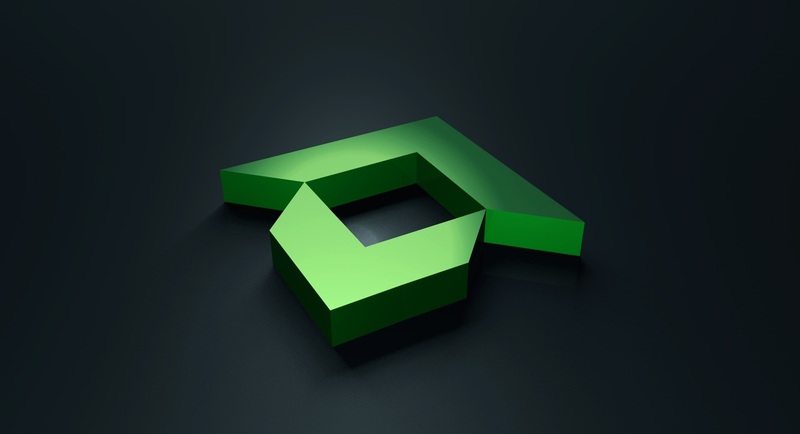 Advanced Micro Devices (NYSE: AMD) as a company is at a very healthy position at the moment and though everything points to loss in revenue this quarter, this is a good opportunity to buy stock and benefit in the Long run trading.